German finance and shipbuilders are to deliver a new cruise ship to the world’s largest leisure travel company, Carnival Corporation. The Miami, Florida-based company has borrowed €786mn, with KfW-Ipex Bank, a German development finance institution, structuring and financing the entire package. However, KfW-Ipex plans to syndicate up to 80% of the total to the commercial banking sector, it says in a statement. The 12-year loan (from date of delivery) is backed by export credit insurance (also known as “Hermes cover”) by the German government. The ship will be built by Meyer Werft, a leading cruise ship manufacturer, in Papenburg, Germany. It will have a low-emission dual-fuel engine, using LNG and marine diesel, however it will be primarily fueled by LNG. Delivery date is May 2022 and the ship will be able to accommodate 5,200 guests. This is the latest in a long line of financings KfW-Ipex has arranged for the cruise ship sector, following a huge €3.2bn package it organised last year for another Florida-based liner, Royal Caribbean Cruises. 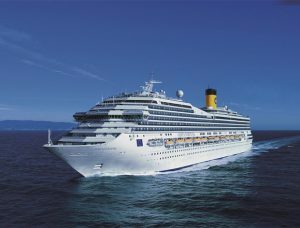 This previous deal saw two reduced-emission cruise ships delivered, in the development bank’s largest ever structuring. It contributed €686mn from its own book, with the rest syndicated to Bayern LB, BBVA, BNP Paribas, Commerzbank, DZ Bank, HSBC, JP Morgan and SMBC. The latest deal will support a large SME manufacturing base in Germany, which has long provided parts in the shipbuilding supply chain. “We are enabling our long-standing customer Carnival Corporation, which placed the order with Meyer Werft Papenburg, one of the world’s leading cruise ship builders, to build a new flagship,” says KfW-Ipex board member, Andreas Ufer. The post German bank provides loan for new US cruise ship appeared first on Global Trade Review (GTR).